The fun starts right here by offering you a unique way to see our beautiful Island and learn about some of our fascinating heritage in a fun, cool way. People look at Segways and think they must be difficult to balance on but quite the opposite, the machine does all the hard work; all you have to do is step on and have fun with a gliding experience that is quite unique. The art of riding a Segway can be quickly mastered by both young and old, although those under under 16 will need to be accompanied by an adult. Our mission is to ensure you have an unforgettable experience on a simple to use, fun to ride technological breakthrough - the Segway (PT) Personal Transporter. If you are not familiar with the Segway you can rest assured that it is amazingly easy to learn to ride by anyone whatever your age, you'll be up and gliding in no time! As long as you can stand up, you can ride a Segway! (Please see our FAQ's section for age, weight and height restrictions). 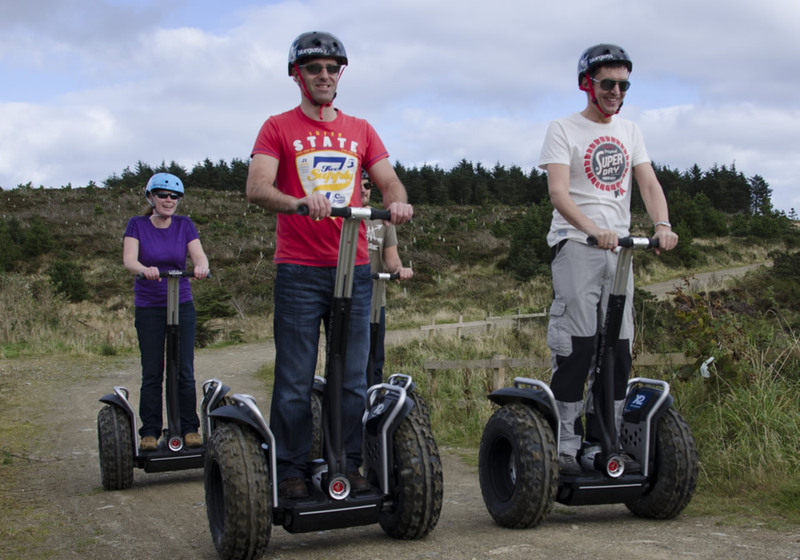 By far the most popular tour is the the adventurous Segway Safari inside one of the Islands beautiful forests. You will be rewarded with outstanding views and have more fun than you've ever had on two wheels standing up! Our Beach Glide tours currently operate on Castletown, Peel & Ramsey Beaches when tide times allow. If you don't see a tour available on a day you would like please give us a call and if we're not already booked we may be able to accomodate you.